Got a headache from all the news of economy, stress at home and work? You’re not alone. Millions of Americans suffer from this common malady yet many make generalized assumptions about how to find relief. In truth it’s more complicated than most realize and popping an over-the-counter pill isn’t always the best answer. A local doctor hopes to change that by educating the public about the many types of headaches and different options for treatment. This may relegate traditional painkillers to the back of the medicine cabinet and increase your overall health. Valley doctor Michael Staub recommends a different approach to diagnosis and treatment. He advises that there are seven different kinds of headaches. Headaches can be due to a wide variety of causes, such as drug reactions; temporomandibular joint dysfunction (TMJ; tightness in the neck muscles; low blood sugar; high blood pressure; stress and fatigue. Dr. Staub says the majority of recurrent headaches are of two types: tension headaches (also called cervicogenic headaches) and migraine headaches. There is a third, less common, type of headache called a cluster headache that is a cousin to the migraine. 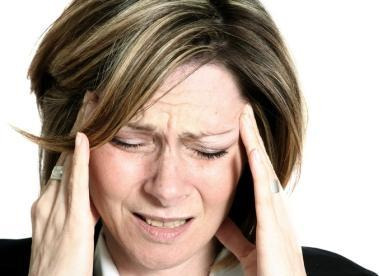 Treatments may include chiropractic modalities to correct nerve related headaches, acupuncture and massage to help with trigger related headaches and a blood screen to identify food and environmental sensitivities likely to contribute to the problem. Headache statistics in our country are astronomical, while a “miracle drug” has yet to be found. According to the American Headache Society, every 10 seconds, someone in the United States goes to the emergency room with a headache or migraine and the lost work due to migraine disease costs more than $13 billion every year in the U.S. alone. More than $1 billion is spent on over-the-counter medications to treat headaches and migraines. And commonly used, over-the-counter anti-inflammatory drugs are dangerous to the kidneys and should be taken infrequently. Over-use can be toxic and damage could be irreversible. Great caution, as with any medication, should be taken. · Stress may be a trigger, but certain foods, odors, menstrual periods, and changes in weather are among many factors that may also trigger headache. · Emotional factors such as depression, anxiety, frustration, letdown, and even pleasant excitement may be associated with developing a headache. · Keeping a headache diary may help you determine whether factors such as food, change in weather, and/or mood have any relationship to your headache pattern. · Repeated exposure to nitrite compounds can result in a dull, pounding headache that may be accompanied by a flushed face. Nitrite, which dilates blood vessels, is found in such products as heart medicine and dynamite, but is also used as a chemical to preserve meat. Hot dogs and other processed meats containing sodium nitrite can cause headaches. · Eating foods prepared with monosodium glutamate (MSG) can result in headache. Soy sauce, meat tenderizer, and a variety of packaged foods contain this chemical which is touted as a flavor enhancer. · Headaches can also result from exposure to poisons, even common household varieties like insecticides, carbon tetrachloride, and lead. Children who ingest flakes of lead paint may develop headaches. So may anyone who has contact with lead batteries or lead-glazed pottery. · Foods that are high in the amino acid tyramine could also be avoided, such as ripened cheeses (cheddar, brie), chocolate, as well as any food pickled or fermented foods. About Dr. Staub and the Bone & Joint Wellness Center. Dr. Michael Staub has been a licensed chiropractor since May 1997 when he founded The Bone and Joint Wellness Center. The center provides chiropractic care, corrective exercises, lifestyle advice, nutritional counseling, spinal and postural screenings and physiotherapies that include cold laser, transcutaneous electrical muscle stimulation, mechanical traction, cryotherapy , moist heat therapy, work hardening rehabilitation programs, core strength ball and theraband exercises and custom Orthotic fitting. This entry was posted in blog and tagged chiropractor, headache, migrane, scottsdale, stress, tension headache, THE BONE AND JOINT. Bookmark the permalink. 3 Responses to "Headache info and help beyond painkillers"
I enjoyed your press release.